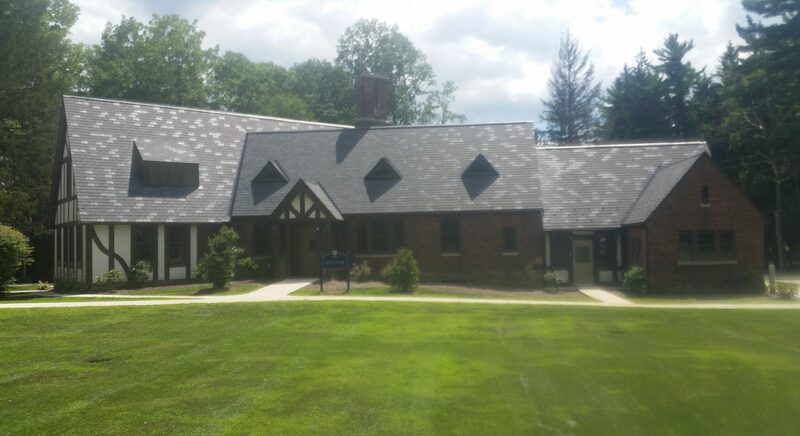 MacColl Hall is The Kiski School’s first “green” dormitory. The building was originally built in 1930 and has been renovated to accomplish the LEED goals that the school and their team established. The two-story building includes 20 living units and recreation space to be occupied by the young men attending this top rated private school. The renovation of the existing facility included high-efficiency replacement windows, roofing materials made from recycled material, high-efficiency lighting, waterless urinals, and a high-performing variable refrigerant flow (VRF) HVAC system. Some of the additional strategies used on site to meet the sustainability goals include rainwater harvesting, implementing a rain garden, and restoring the surrounding site with native plants. The 3R team was brought in at the Construction Phase to be the LEED Consultant and document the planned strategies as well as contributing additional ideas to meet the overall project sustainability goals. At that time, the project needed 16 additional LEED points to meet the goal of Silver. Using the framework set in place by the design team, 3R successfully documented those 16 points and after one round of review, was awarded LEED Silver certification. The LEED certification of MacColl Hall is the starting point of The Kiski School’s path to becoming the leading edge of sustainability for Independent Schools.